Why is Google crazy about SSL Certificates | SSL Certificate critical now! If you don’t have an SSL certificate, Google will show a “Not Secure” warning on your website. 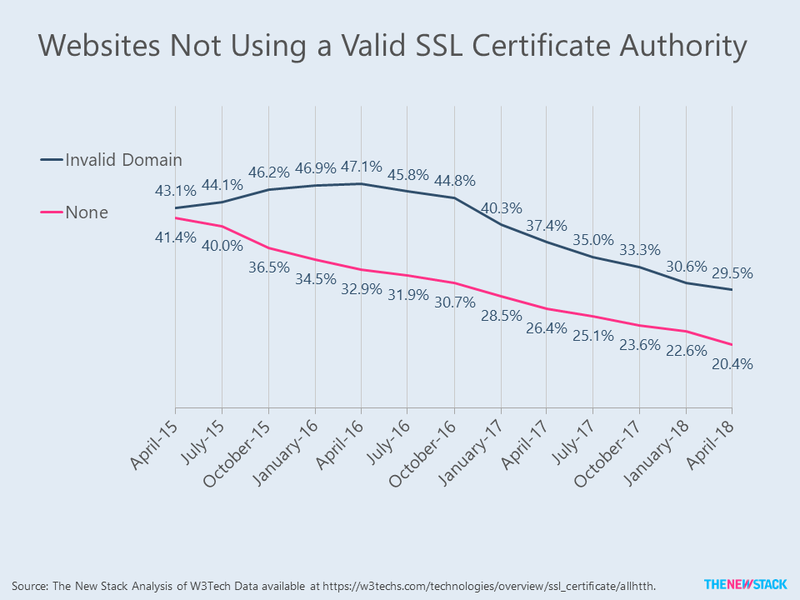 The reason Google is forcing SSL certificates to websites is to boost online security and encourage people to perform online activities. 1. What is SSL & How SSL Works? 2. Why You Need SSL/TLS Certificate? 4. How to Get SSL Certificate? What is SSL Certificate & How SSL Works? SSL or Secure Sockets Layer is the standard security technology for establishing an encrypted link between a browser and a web server. This link ensures all data passed between the browser and the destination server remains private and unreadable. An unsecure connection means your company information will not be digitally connected to a cryptographic key. Why SSL Certificate For Your Website? Although SSL certificates are mandatory for every website these days. However, if your website takes text inputs in the form of contact form, login panels, etc, you can’t have second thoughts about it. If your website is still on HTTP://, you’ll be at a disadvantage. Google shows a “Not Secure” warning and will prefer websites with an HTTPS connection on its SERPs. Install SSL certificate to rank better on google and avoid any business risk. The customers today are more educated than ever. If they see warnings on your website, they will leave your website and not come back. When you have a green padlock and address bar that indicated well-trusted encryption in use, they will be assured their information is safe. The information you send on the internet is passed from one computer to another to get to the destination server. Any machine in between you and the destination server can see your username, passwords, credit card information, and other sensitive information if you don’t use an SSL certificate. Once you install SSL, the information becomes encrypted (or unreadable) to everyone except the destination server. Amidst the rising cybercrimes, it will become difficult for you to protect your website if you don’t use an SSL certificate. The hackers will identify weakness(es) in your network mainly when the information is transmitted. Moving to HTTPS connection will provide first-level of security to your website. 1. Validation Level: Domain Validation Certificates, Organization Validated Certificates, and Extended Validated Certificates. 2. Number of Secured Domains: Single Domain SSL, Wildcard SSL, and Multi-domain SSL. How many domains do I need to secure? What type of website do I need to secure? Is the customer’s trust important to you? How to Get SSL Certificates? There are a number of good web hosts providing SSL certificates and automatically configure web servers to support HTTPS connection. You can install free SSL from Let’s Encrypt. They are free, automated, and open certificate authority (CA) boosting internet security. They are totally safe for your website. Having an SSL/TLS certificate on your website is a no-brainer. Make a rational decision and don’t compromise when it comes to your website security. Hi Aman. True. Letsencrypt is a great solution for Free SSL Certificate. SSL Certificate should automatically be included for free on all hosting platforms. If you choose to get ecommerce then yes a more secure SSL practice should be expected. But basic should be free for all websites. Sometimes stuff comes down that may not make sense to us but it’s happening anyways. It reminds me of Google Keyword tool. Years ago it gave us limitless power and data. Now if you’re not seriously using adwords the data is limited. Having an opinion on this is really irrelevant. It has already happened and we need to adjust. True Danny. Having an SSL Certificate is no more a choice but sort of mandatory now.